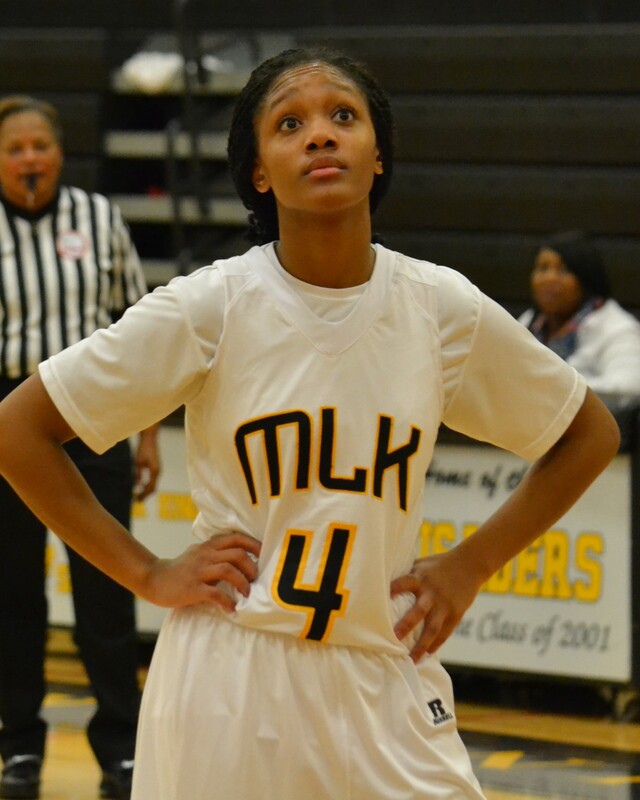 King High’s Janae Williams has the Lady Crusaders’ girls basketball team off to a fast start and has been named the Detroit Public School League Proud Strong Learner of the Week. The 5-8 senior guard earned the honor after scoring 16 points with five assists in a 74-11 season-opening victory against Cody and posting a triple-double of 18 points, eight steals and six assists in a 68-34 nonleague victory against Romulus. Williams was also a PSLer of the Week last season when she averaged 13 points and five assists to help the Lady Crusaders win their third consecutive PSL girls basketball crown. Williams has signed to play collegiately at Indiana University-Purdue University in Indianapolis, where she plans to major in physical therapy.